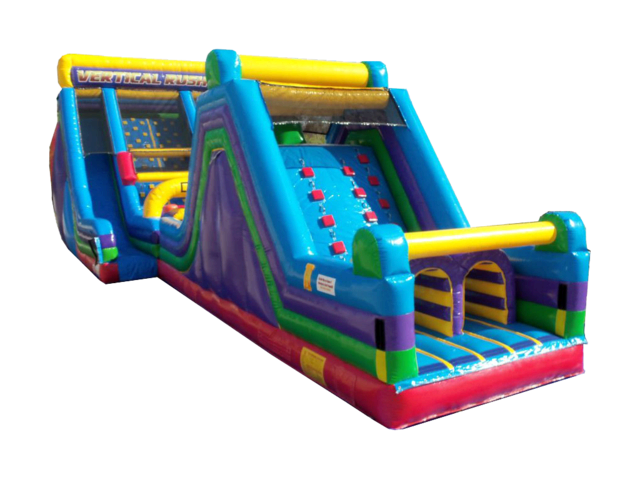 The rock climb and slide with vertacle rush are 60' long and will give your event or party the competitive edge. 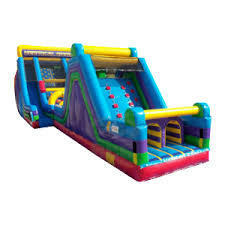 Climb through crawl tubes then go up a rock climb to the first slide, down into some more crawl tubes, up the the vertacle rush climb wall, and finally over to the super steep slide to the finish. See who gets there first!